This is Part II of “Anatomy of an untruthful scoop. The Swedish campaign against WikiLeaks and Julian Assange”. A more detailed analysis on characteristics of the unprofessional part of Swedish journalism - the duck pond phenomenon -, or on the Swedish Media Trial VS. Assange referred in particular to the journalist’s ad-hominem attacks and personal characterizations of the WikiLeaks founder, is found in "Does Sweden inflict Trial by the Media Against Assange?" Foreign Minister of Sweden Carl Bildt wakes up from his post-WikiLeaks Twittering nightmare and discovers instead a sunny and pleasant Stockholm. Spring in Sweden has always been a peculiar and contradicting phenomenon. It is sudden then indecisive, it is cold and it is warm. It is beautiful but brief – “as human love”,  Hamlet would say. Expectations cultivated in long winters run way more dramatic than in southern latitudes. Now that the careful spring makes its uncertain debut in the Swedish latitude, we are reminded of the fragility of human understanding, of the easiness in which rulers and trolls can make prevail the ideological alienation, the misinformation-based assumptions, the prejudices, etc. Such is the case of the recent State and mainstream media campaign directed to the Swedish public and designed to confound us about what WikiLeaks and its founder and editor Julian Assange, have really said and stand for. Would this anti-Wikileaks media campaign - a campaign that have presented Carl Bildt as the victim he is not - have a collateral aim of trying to save Minister Bildt from the increasing critic on the Sudan/Lundin Affair? Or which would be the reasons behind this compact chauvinistic media endeavour? Further about the Swedish media campaign "WikiLeaks anti-Bildt conspiracy” -- that the rest of Swedish media have been reproducing as "According to Expressen": The State owned Svt escalates now forward and gives the false report simply, "According to WikiLeaks"! WikiLeaks as an organization has never said it has information on Carl Bildt that would cause the fall of the Foreign Minister or the collapse of the Swedish government. For that matter WikiLeaks has never threaten to attack Sweden or Foreign Minister Bildt; Further, WikiLeaks has denied it has such plans or internal documents, PM or the like, containing such "plans". "The conventional wisdom – both in Sweden and the U.S. – is that you won't be extradited. Why are you convinced you will? Extradition is a political matter. The extradition treaties – those from the U.K. to the U.S. and from Sweden to the U.S. – are both very dangerous for me. Every day that I remain in England, it is dangerous, and if I am in Sweden, it will be at least as dangerous as it is here, and very probably more so. The Swedish foreign minister responsible for extradition, Carl Bildt, became a U.S. Embassy informant in 1973 when he was 24 years old. He shipped his personal effects to Washington, to lead a conservative leadership program, where he met Karl Rove. They became old friends and would go to conferences together and so on. Karl Rove? How do you know this? Cables." Now, considering that Swedish media will not concern itself with the facts above, and they will not mention that Assange has said publicly (reported internationally - but not in Sweden) that what is attributed to him or WikiLeaks documents or "sources" on the alleged plans of attacking Sweden ("Swedish embassies and consulates, Swedish products, etc.") is a fabrication. WikiLeaks is needed more than ever, especially in Sweden. What is the background of the Swedish on-going political offensive against WikiLeaks? What does the media campaign have to do with Swedish Foreign Policy and its head, Carl Bildt? What is the NATO connection in the case? And further, what does the content of such media articles have to do with the domestic decline of Bildt’s popularity, and peoples questioning as to the extent to which the Swedish rulers themselves are primarily responsible for the drastic deterioration of the international prestige of Sweden? I continue here my analysis on the recently initiated new media campaign against WikiLeaks, an action particularly focused on the WikiLeaks founder, editor and journalist Julian Assange. Discussed in this section: a) Concepts around Nationalist-chauvinistic media campaigns; b) Similitude of Pinochet's "Plan Z" (attributed to CIA),  and what I describe as Sweden's "Plan Z" on WikiLeaks; c) "Plan Z, phase 7: SvT"; d) The media campaign and The NATO factor in the Swedish mainstream media; e) The war on Internet between Freedom Fighters and the positions of the Swedish Foreign Minister Carl Bildt. The position of the Swedish Pirate Party, as stated in a valuable analysis by PP's Chairman Anna Troberg, will be also commented in this context. This publication together with the previously announced comments on the article by the President of the Swedish Publicist's Association in Journalist.se, and on-line publications on the issue by The Local and Nyheter24, will follow tomorrow at the earliest -- in Part III. Finally in this Introduction, I wish to state briefly that, at the same time of highly doubting that such actions of spying on the private life of Swedish journalists as reported lately by Expressen has ever occurred: Professors blogg will always, and in the strongest terms, condemn any deplorable initiatives of invading the personal integrity of individuals, as well condemn attacks ad-hominem, without exception. Professors blogg - as the presentation reads - advocates Human Rights For All. This is the crux of mine defense of the cause for justice for the person Julian Assange, regardless the strong sympathies which I also have for the WikiLeaks message against abuse of power and for transparency in governance. What is a nationalist-chauvinistic media campaign? First, a brief disclaimer. Expressen's Editor-in-chief declared in his blog, and also in a recent radio debate on WikiLeaks in which I also participated [See post "Professors blogg on Swedish RadioEtt to debate Expressen on campaign anti-WikiLeaks"], that WL supporters fail to understand how professional media works. Apparently he meant that only professional journalists do. But what about professors of psycho-social methodology? After all this is a mass-media, mass-communication phenomenon, and our analysis perspective has considered aspects of psychological-warfare. I submit that I am qualified, both through my professional qualifications (professorships & education) and through personal experiences of living through and being a victim of psy-ops, to analyse and challenge the current media psy-ops campaign directed to discredit Wikileaks in the eyes of the Swedish people. Namely, before becoming Professor in Epidemiology in Sweden, I was Associate Professor of Social Psychology at the University of Trondheim, Norway, and full Professor of Psycho-social Methods at Concepción University, Chile -- until I was made prisoner by the Military Junta accused of participating in the "Plan Z". Phase 7) the ruling authorities will tell the people “what” they will do about Y. But since Y was a made-up story, they will have to find a scapegoat. The name of this scapegoat is Z. Ultimately, conservative right-wingers share with fascists the same supremacist ideology; while fascists value supremacy rule as political goal, right-wingers value political power measured in their own social and economic advantages. While fascists see democracy always as an enemy of their ideology, right-wingers see that control of the democratic process allows the maintenance of the status quo - prosperity of their individual economic, social and power privileges. Hence, while the democratic process provides an outlet that results in "well behaved" masses and "well behaved" rulers who act with restraint within the legislation promulgated by the rulers themselves. However, democracy is for these a mean, not and end. When thus democracy is shattered by the fear from the part of right-wing rulers of people’s rage, things may change, and rapidly. This is the moment when right-wing rulers are ultimately confronted with the social consequences and political perils of their own greed. And just before it would happen: that people’s rage would force these politicians to step down from the office and the power they abuse in the name of the people; and just before they are force to give public account of the shame they bring on the all nation, right-wing politicians behave brutally and mercilessly. When they do, it is impossible to distinguished them at all from the gruesome pack of ordinary, vulgar, political-fascist lawbreakers. That is what happened with Pinochet, and the CIA installed generals in the Chilean coup of September 11 1973. People were demanding the legal process of powerful right-wing politicians opposing the democratically elected President Allende. It was at the weels minute the “Plan Z” was put into play. It consisted of a voracious media campaign in which libertarians, left-wing activists, MIR, socialists that supported Allende, etc. were accused of preparing a complot to give full exceptional powers to Allende, after attacking all the “national” institutions principally the killing of the Armed Forces officials. We were accused of taking pictures of right-wing journalists, of preparing a mass campaign of “disinformation”, etc. And most importantly, we were accused of working for “the Russians”. We were all of us accused of being a bunch of spies. Above: Prisoners at the Camp in Quiriquina Island. The author indicated by the arrow at left. 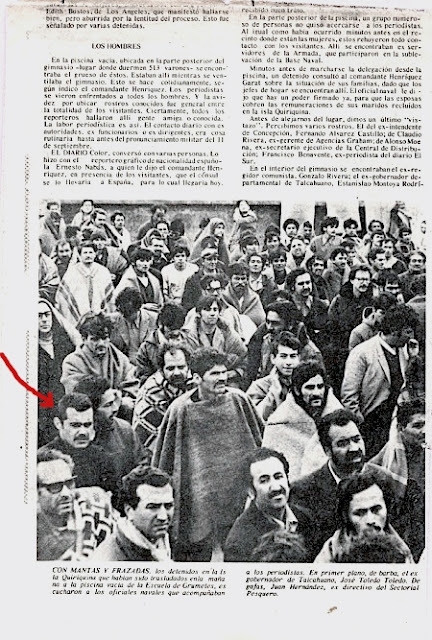 More pictures of the Prisoners camp in "Ferrada-Noli VS Pinochet"
This was in the middle of the Cold War, and with Cuba struggling for survival. Allende, cherished and democraticaly elected by the will of the people and all the left forces united, was killed (some say “by suicide”) during the Army assault in Santiago pretexted by the made-up "Plan Z". 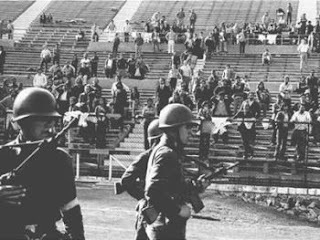 Recent official estimates from Chile 2011 give a total of over 40 000 tortured, executed or disappeared, all of them accused of a conspiracy that never had existed. Plan Z - described as a public-opinion manipulation preparing the Chilean Military coup - has been since long attributed to CIA. For instance in an analysis of Fred Landis (University of Illinois scholar) published in Liberation Magazine. CIA, while have acknowledged the "Plan Z" as a made-up media campaign, denies it was their initiative. "Propaganda in Support of Pinochet Regime. After the coup in September 1973, CIA suspended new covert action funding but continued some ongoing propaganda projects, including support for news media committed to creating a positive image for the military Junta. Chilean individuals who had collaborated with the CIA but were not acting at CIA direction assisted in the preparation of the “White Book,” a document intended to justify overthrowing Allende. It contained an allegation that leftists had a secret “Plan Z” to murder the high command in the months before the coup, which CIA believed was probably disinformation by the Junta." Svenska dagbladet publishes in these campaign-days in the Cultural Section a novel analysis describing the real behaviour of Swedish governments with regard to the Neutrality issue, and NATO, in a historical perspective. For Professors blog this is not entirely new, or hardly a surprise. We have dealt with issues around the questionable “Swedish Neutrality” since 2007 (see article links in left column). Sweden’s new vassal commitments in NATO, for instance the participation with Swedish troops in the occupation of Afghanistan, have naturally involved also solidarity action in the information front. Such war is, after all, a common cause between the U.S. and Sweden, as the Swedish Minister of Defence Sven Tolgfors declared recently loud and clear. For the Swedish part, this has entailed the concrete commitment of participating in the retaliation against WikiLeaks for the disclosures on the war horrors, some of which have involved exposed U.S. or NATO operations. 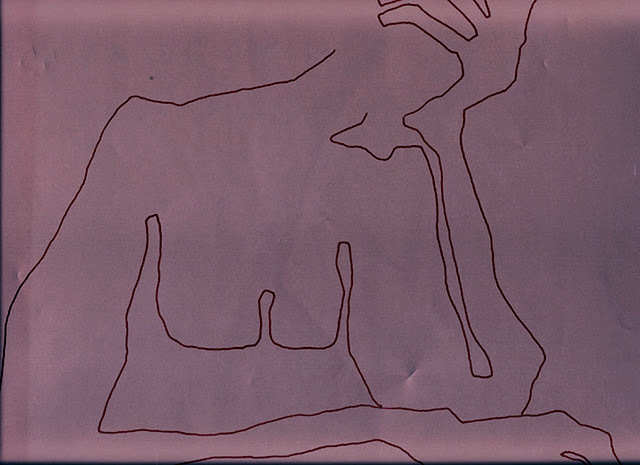 An example of such war-horrors was shown in the notable documentary Collateral murder. By the times of the release of the said documentary, and shortly after the disclosures affecting NATO contained in the WikiLeaks cables of 2010, Sweden took the decision of reopening the “legal” case against the WikiLeaks founder, editor and journalist Julian Assange. The reader should be aware that the politicians actively pursuing the reopening of the case belong to the social democratic party. This party, according to the Svenska Dagbladet article, has been prominent in such pro NATO collaboration -- which the various social democratic governments did secretly cultivate for decades. This have lead, among other things, to the apparently joint-operation to silence WikiLeaks, an initiative in which Swedish politicians from both this and the previous governments (which also followed the intensification pace in the then NATO secret collaboration) seemingly are playing a pivotal role. All across this process, the facts have indicated that the case against the WikiLeaks founder has been politically motivated, politically orchestrated, and politically profited. The secret collaboration with NATO – for instance in Intelligence operations - has already caused sanctions against Sweden by the UN for severe violations on the Absolute Ban of Torture. Such violations on human rights in the context of Sweden’s Foreign Affairs policy are not new, as recently analysed in Sweden, Assange and Pinochet. On Torture crimes, Extradition lawyers, and Politically designed judges. As the Swedish people are or have been comfortable with their international image of a peace loving nation, a fair partner in addressing human-right issues in the countries of the Third World, etc., the Swedish foreign policy portrayed in the actions of minister Carl Bildt - for instance in the Affair Sudan - is detrimental to such an image, at times decisively. The State owned Television network, SvT, run 29 February 2012 as main news a long reportage on Wikileaks and its founder Julian Assange. The interviews (only performed with Assange and WikiLeaks-hostile individuals - including a high-ranking official representing an institution under of the Swedish Ministry of Defense - were conducted by SvT foreign correspondent Lars Moberg. Here in the picture at left, Moberg is seen in USA during the Obama campaign. At the time he wrote a report, published in the SvT site headed in these terms, “Can Obamas skin colour cost him to lose?” (“Kan Obamas hudfärg kosta honom segern?”). I was obliged to search for Lars Moberg picture in Google because SvT took away the video less than a day after the airing of the program here commented. This action, in spite they have stated (as shown in this screen-shot, at left) the video would be available until the 7 of March. 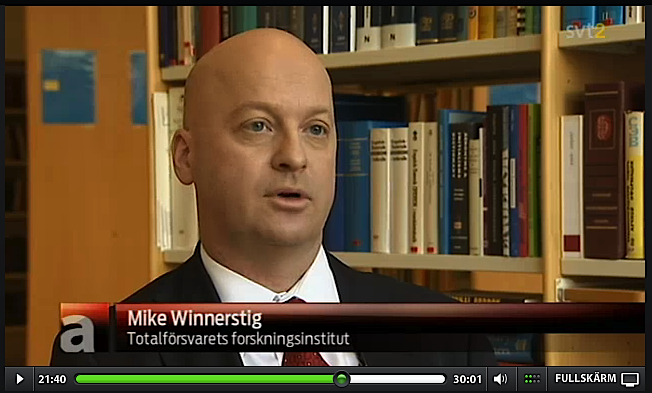 Mike Winnerstig [above], is a high-ranked official (Deputy Director of Research) at the Swedish Defence Research Agency – institution under the Swedish Ministry of Defence. He also holds a PhD in Political Sciences and he is member of the Royal Swedish Academy of War Sciences. He has been Research Fellow in the International Security Program at Harvard University (Belfer Center, J Kennedy School of Government), Boston - USA. Winnerstig's formulations on WikiLeaks in the SvT main program Aktuellt are to be considered as highly interpreting the Swedish political/military establishment; For instance, he recently (8 February 2012) addressed the seminar on US/Europe military partnership organized by Society and Defence "in collaboration with the US Embassy in Stockholm". It cannot be by accident that at the same time the main Swedish newspapers - in occasion of the elections in Russia - have dedicated tremendous space to remind us of "the horrors of Russia / Soviet Union". In these regards, the Swedish anti-WikiLeaks/Assange campaign stands as purely chauvinistic, old fashioned Macarthysm. For those remembering the anti-Assange Prataomdet campaign, it consisted in the trick of repeating in each of the articles published in the media, that this “spontaneous movement” had as background the accusations for sexual misconduct against Julian Assange by the two women”. That was the semantic skeleton of such campaign. In this new campaign, the trick consists in repeating, over and over again, that it is WikiLeaks that has a campaign against Sweden and Minister Carl Bildt. This is in total in disregard of the several times WikiLeaks – including Julian Assange himself directly to Expressen’s reporters - have emphatically denied both these statements and plans attributed to WikiLeaks. [a] Nyligen kom så en avslöjande, den här gången från en Amerikansk tankesmedjan, och (här SvT markerar orden) enligt Wikileaks är uppgifter graverande för Sverige, uppgifter som skulle kunna fälla utrikes minister Carl Bildt. [c] ”Vad man ser tror jag är en tendens – som egentligen nog fans från början - dvs Organisationen hade en agenda, det var inte frågan att vara en allmänt insamling plats för wiselblowings, som man säger, men sätt för andra aktörer att lägga olika form av hemligheter ute på nätet. [e] Det som är problematiskt med den här agendan, det som också Julian Assange själv har hotat med, det är att han kommer att använda material som han har om Sverige, och om inte minst utrikes minister Carl Bildt, i den mån som han blir utlämnad till Sverige och sen ställ iför rätta här, och kanske, som han tror då, det som jag inte gör, att utelämnas till USA. Och det här innebär han ägnar sig till Utpressning helt enkelt. “Well, you are from the Expressen newspaper which fabricated an entire story and made it a front-page, and four additional pages last week. And as a result, the Foreign Minister of Sweden has been on some defensive rampage against this organization, completely absurd.” . Plan Z - described as a public-opinion manipulation preparing the Chilean Military coup - has been since long attributed to CIA. For instance in an analysis of Fred Landis (University of Illinois scholar) published in Liberation Magazine. CIA, while have acknowledged the "Plan Z" as a made-up media campaign, denies it was their initiative. 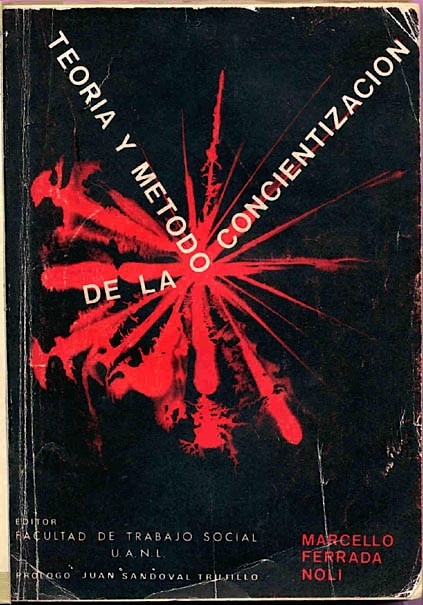 See CIA's report "CIA Activities in Chile", chapter "Propaganda in Support of Pinochet Regime". I wish to thank Traci Birge for the proofreading of this manuscript. M. Ferrado, thank you for this in depth analysis of the inner workings of neodemocracies. I am well aware of these machinations as I have witnessed them in my own field, but you have shed additional light on my understanding of these complex issues. I feel now much better prepared to face the music when the time comes. You also gave me many priceless insights on qualitative studies and how research has been undermined by commercial and financial interests. This is happening everywhere and is part of the unidimensional thought theory of German philosopher Herbert Marcus. Insightful and educational as ever. This article demonstrates how important it is to have a neutral media, rather than one that resides within the journalistic boundaries of a governments ideals and objectives. I strongly believe that Swedish press, have started this hate campaign to ensure that when and if they Extradite Julian Assange it will be done with the publics support. The Swedish people will ultimately feel used by their own government. I strongly recommend people watch "The War you don't see" by John Pilger, to understand the true nature of journalism and war, check out his bio first! It is worth reading theStratfor emails, they show that Stratfor believe the whole thing to be trumped up and don't care. Thank you, Marcelo, for your analysis! Very interesting article, thanks for the analysis! There is no need for Swedish media and politicians to cook up conspiracy theories to explain why WL had fewer disclosures on Russia and China. The answer is simple: they had few if any Russian and Chinese whistleblowers and then there`s also the language barrier. The best thing about the US cables was that they covered news about more then 150 countries in ENGLISH including the claim that Russia is a mafia State! And last but not least the fact that the WL site is blocked in China and the internet censured prevented insiders from sending material to WL.